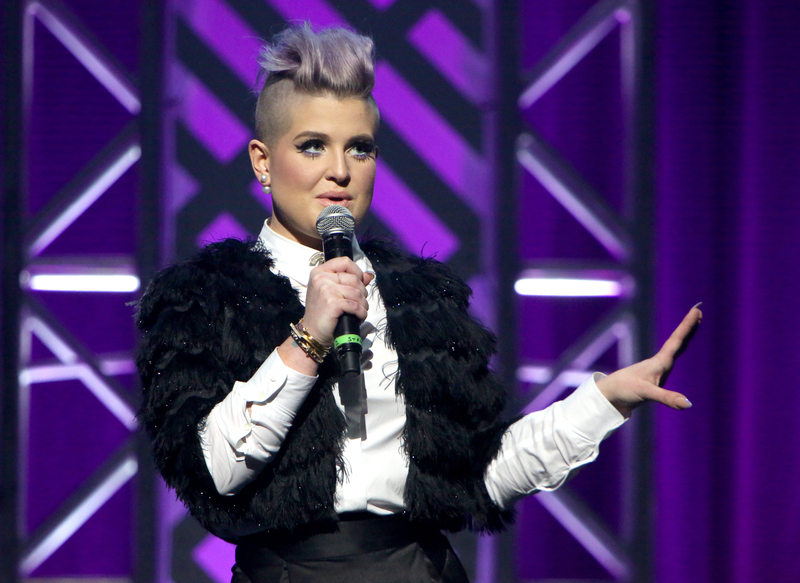 I've long loved Kelly Osbourne for exactly the same reasons why she's currently driving me crazy. She is outspoken and honest in a way that seems as foreign as roast ox potato chips to me (an actual food in Great Britain) and her don't care what others think attitude, coupled with her ability to be both polite and direct on Fashion Police made her a fan favorite. But when Kelly Osbourne recently publicly trashed Giuliana Rancic, called her "a liar," and even blamed her for the backlash she's experiencing, I thought, "What in the hell? Woman, you are too good for all of that — rise above, please." Her provocative comments are also not helping the 30-year-old dig out from under her own mini scandal. Well, when she appeared at the NYX Face Awards, Osbourne told Us Weekly there was a very good explanation for why everyone was so pissed off at her after her remark on The View: "Do you know why? Because of people like Giuliana Rancic." Don't blame me for other people's mistakes. I wasn't edited. It wasn't a premeditated attack. And if I watched it, I would hate me too. So I have no problem, and I would do whatever I have to, to make it right. But don't compare me to her. You can see that they cut me off. You only saw a 6-second clip. When you watch the full episode, it's a different story. But I'm not going to make up excuses because I don't need to. I know who I am. I will never admit to liking Giuliana because I don’t. I don’t think she’s a good person and I think she’s a liar. Osbourne handled her own gaffe on The View with integrity and class by immediately apologizing for her words and admitting that she learned a valuable lesson. That's where it should have ended. But by bringing up Rancic, she's only stirring up old pots that needn't be taken out of the cupboard. The 41-year-old has her own cross to bear and has certainly had to deal with consequences after her misguided words. Osbourne isn't making herself look better by trying to bring Rancic down. Move on, move forward, and move upward — with stints like Project Runway Junior (triple hooray!) in the works, there's no need to look back in anger.